On Saturday, October 7th, nineteen volunteers visited MPG to build wildlife-friendly fence. The group was a combination of university students and community volunteers. 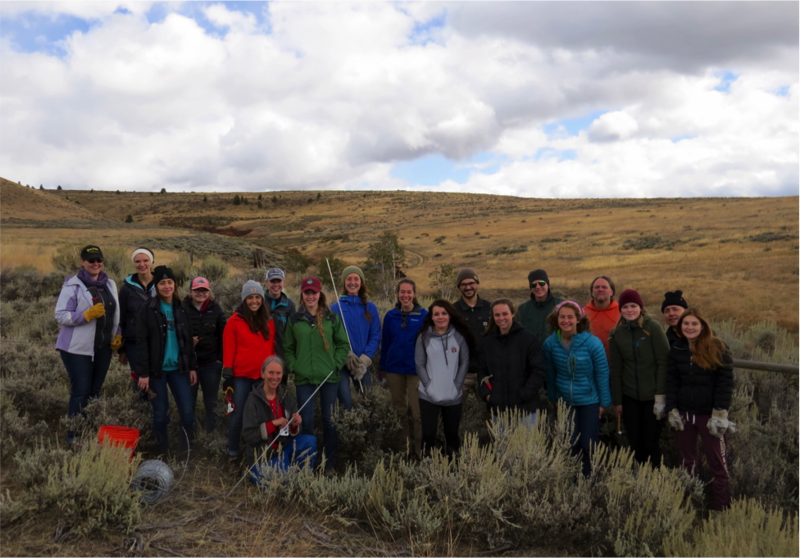 The students were from Vicki Watson’s and Dan Spencer’s Environmental Studies classes at the University of Montana. Professors often require their students to complete some hours of service learning for their courses and MPG has been a destination of choice for several years now. Volunteers worked on the southeastern border of MPG where the property abuts Red Quill Ranch. Rebuilding this fence line will allow cattle to graze on Red Quill, while also allowing elk and deer to cross more easily between properties. 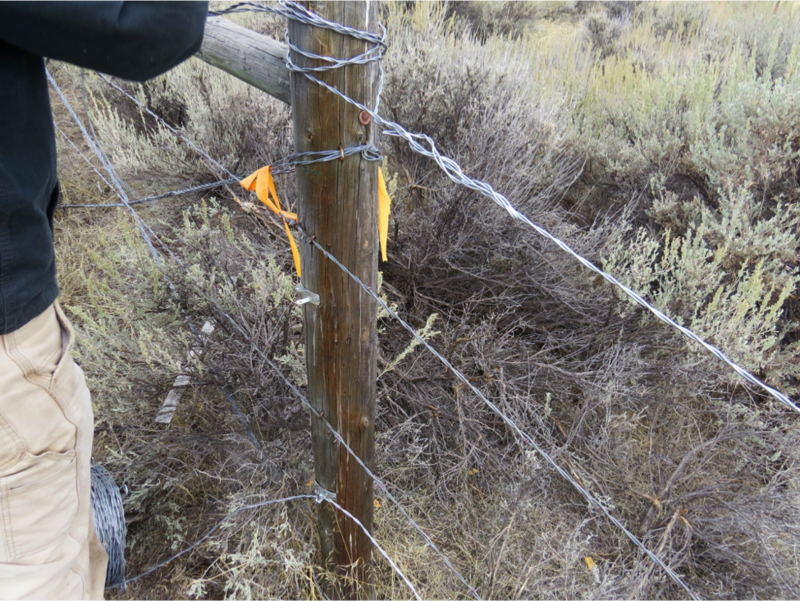 The crew removed the top and bottom strands of barbed wire and replaced them with barbless wire. All four strands were reset to 18 inches at the bottom, 42 inches at the top, and 26 and 34 inches in the middle. The modified height and spacing allows for smaller animals to pass beneath, and larger animals to jump over more easily. 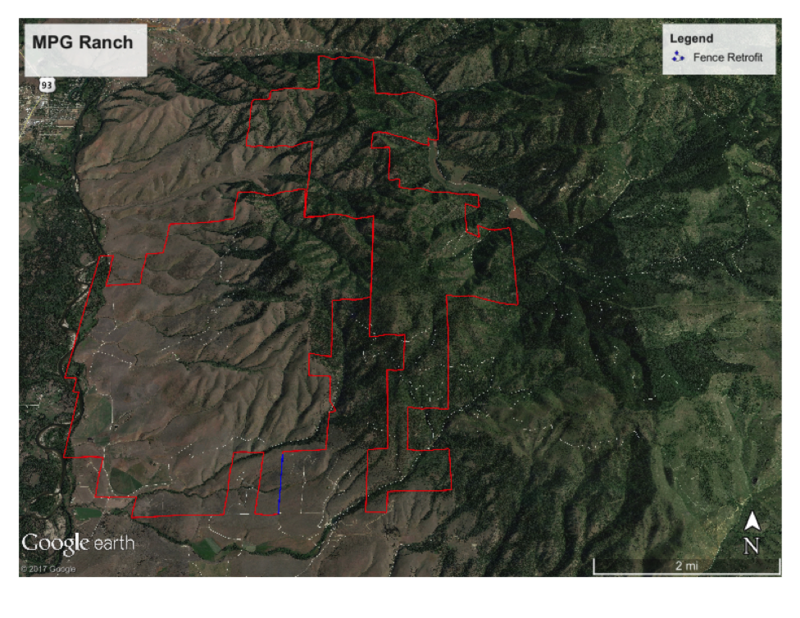 This configuration also permits the fence to be compressed to the center two strands, making it highly visible and easy to navigate for wildlife, thus lessening the opportunity for injury. 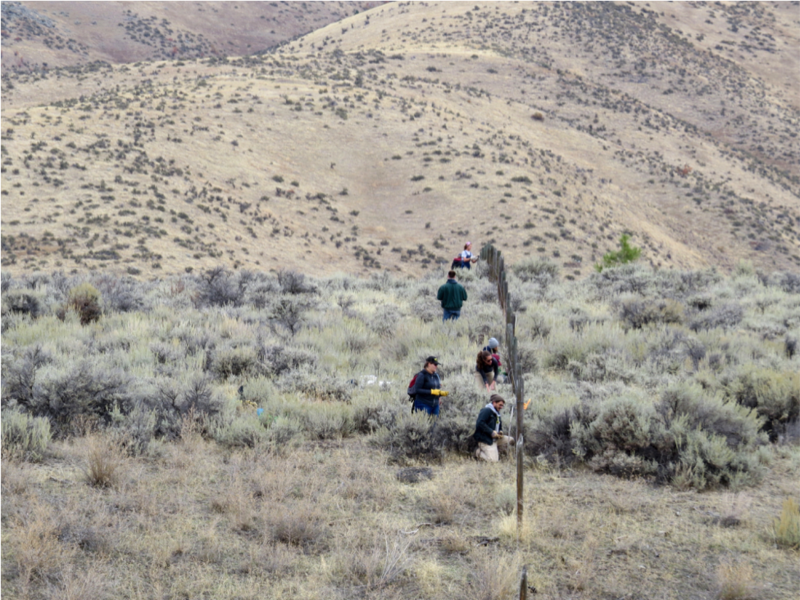 Volunteers worked on the southeastern border of MPG where the property abuts Red Quill Ranch. . Rebuilding this fence line will allow cattle to graze on Red Quill, while also allowing elk and deer to cross more easily between properties.